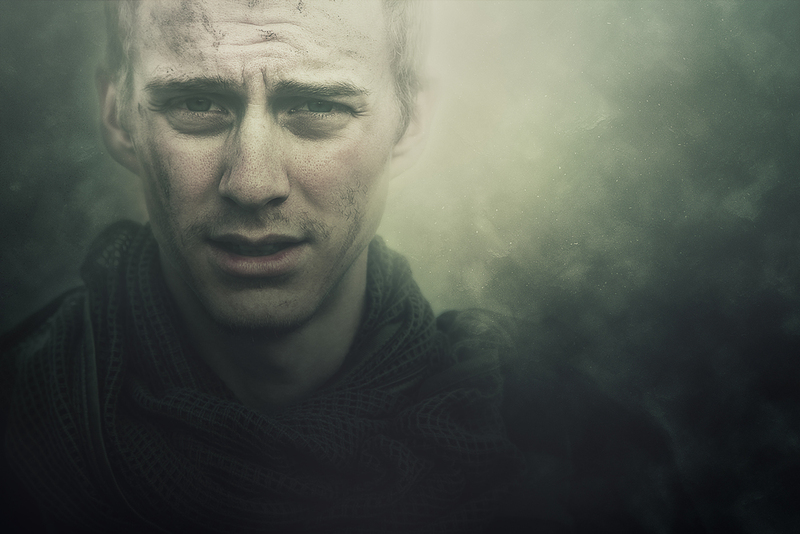 Final image from Collin's shoot used for my print portfolio. 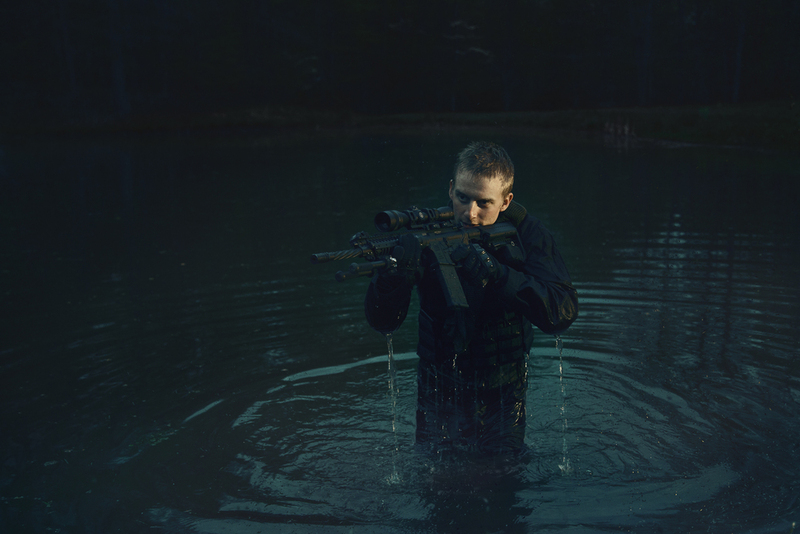 My inspiration for this shoot originally came from Call of Duty. My brothers used to be in love with the game, and gosh darn it, their promo photos are so good. Google Image search "Call of Duty" and you will agree completely. 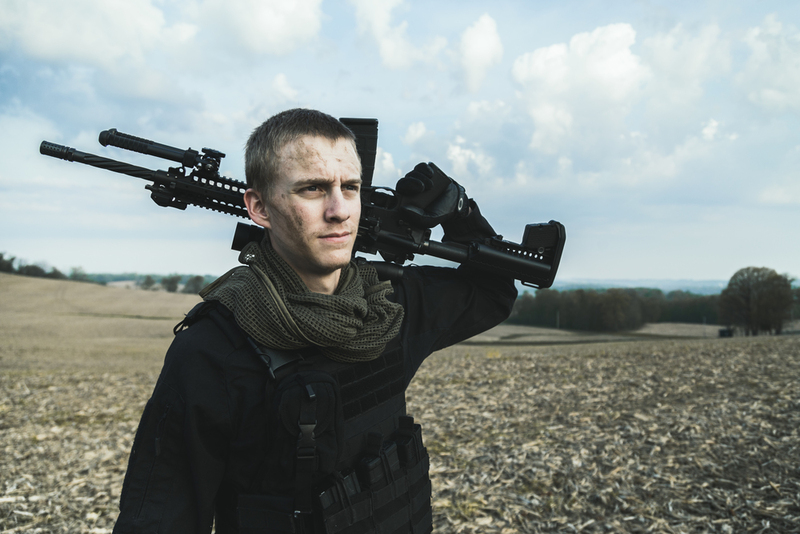 Plus, my friend Collin has been wanting to do a shoot for quite some time using all of his airsoft gear. We did the shoot in two sessions, one at sunrise and one at sunset, which makes for a pretty long day, but the crew had a nice long break for naps between. The team included Collin Galbraith as the model, Chelsea Black and my brother Jonathan Schonauer as assistants. Although this was a personal project inspired by a video game, on a serious note, I'd like to dedicate these images to all the Veterans that have served our country. I take every thing I have for granted on a daily basis, forgetting the freedoms that I have, thanks to the brave American troops this country has, and our Awesome God. I debated sharing these images on Veterans Day because I didn't want them to be "offensive" in any way to make military or war look "easy" or "pretty" with all the Photoshop and setting up this shoot took. And I hope that that message doesn't get passed on through the images. I want these photos to represent the soldiers as individual people and be a reminder of the incredible sacrifice they have made. It's not much, but I just want these images to say "Thank you!". Below is a before and after, showing the extensive work in Photoshop to make the atmosphere eerie and intriguing in this specific photo.